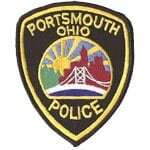 By late Monday afternoon, the Portsmouth Police continued to withhold the names of two individuals involved in what they believe to be a domestic dispute early Monday morning. One man is dead and a woman was taken to Southern Ohio Medical Center for treatment. Detective Chris Kelley told the Daily Times it has been difficult finding the next of kin of the man whose body was found in an apartment in the 700 block of Lincoln Street in Portsmouth. Portsmouth Police Chief Robert Ware said they received a call shortly after 2 a.m. and responded to the scene. Ware said the names are not being relased as yet because of the need to notify relatives. The exact street address is also being withheld as to not notify relatives through media sources before authorities can contact them. Detective Sergeant Jim Charles was processing the scene early Monday morning. Late in the afternoon, Kelley told the Daily Times he had to go out of town and probably would not have the identification of the two people involved by Monday evening.